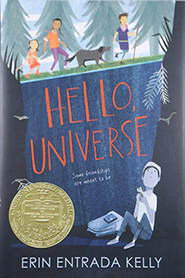 Hello, Universe, written by Erin Entrada Kelly, published by Greenwillow Books, an imprint of HarperCollins Publishers. 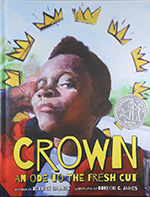 “This reading community celebrates the panoply of American literature for children published in 2017. 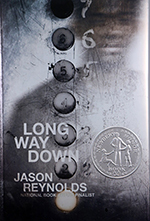 We are delighted to share our selections with the world,” said Newbery Medal Committee Chair Cecilia P. McGowan. “I am learning to speak. To give myself a way out. A way in.” Jade’s mixed media collages evolve as she finds her voice. 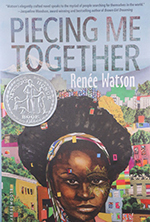 Through artful and poetic language, Watson explores themes of race, class, gender and body image in this dynamic journey.